Clive Davis's annual pre-Grammy party in Los Angeles, which dates back 40 years, is known for flashy celebrity guests, intimate performances, and the aroma of exclusivity. The 2017 version of the event featured appearances from Lorde, John Legend, Lena Dunham, Neil Diamond, Jennifer Hudson, Nancy Pelosi, Gene Simmons, Jon Voight, and Diplo. If you want random famous people in the same room -- please, pause and imagine a conversation between Minority House Leader Nancy Pelosi and KISS frontman Gene Simmons -- get Clive Davis on the phone. His rolodex is endless and eclectic. 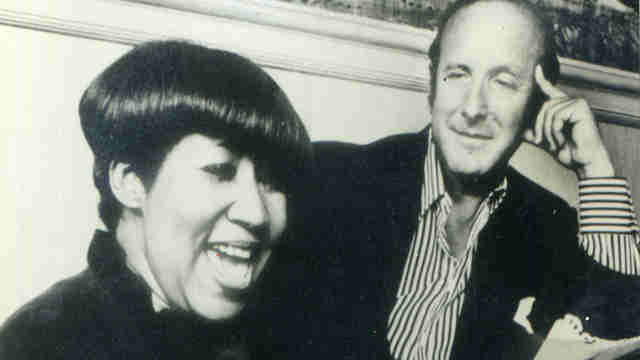 One has to assume that was part of the logic that led to the selection of Clive Davis: The Soundtrack of Our Lives, a new documentary about the career of the 85 year old record executive, as the opening night film of this year's Tribeca Film Festival. On Wednesday night, Radio City Music Hall welcomed a range of powerful names from the world of film, television, and even politics: Governor Andrew Cuomo, festival co-founder Robert De Niro, and host Whoopi Goldberg all took the stage to speak at various points in the evening. But, fittingly, the event was about the music, which was provided by Davis-approved acts like Barry Manilow, Jennifer Hudson, Earth Wind and Fire, Kenny G, Dionne Warwick, Carly Simon, and, most impressive of all, Aretha Franklin. Fitting his image as a behind-the-scenes string-puller, Davis remained out of the spotlight at his own tribute. To get to the music, attendees had to get through a screening of the documentary, which was recently acquired by Apple Music. That makes sense: Director Chris Perkel's movie is the cinematic equivalent of a greatest hits package, the type of breezy anecdote-filled musicbiz bio that's designed to be watched with a bunch of tabs open on your computer. What it lacks in genuine insight or juicy gossip, it makes up for with a bevy of pop music cues and schmooze-y interviews. The film sketches out the broad strokes of Davis's life: After his parents died as a teenager, he worked his way through NYU and Harvard Law School, graduating and eventually finding a job at a law firm that represented CBS, which owned Columbia Records. He served as legal counsel for the label and, through a bizarre series of incidents described in the film, went on to become president in the coming years. A fateful trip to the Monterey Pop Festival in 1967 led to him signing Janis Joplin and pushing the stodgy institution towards the rock and folk sounds that became some of the defining music of the period. It turns out Davis, hardly a music obsessive as a young man, had a natural ear for hits. As the movie chronicles the ups and downs of his professional life, including his controversial (and contested by Davis) firing from Columbia for a payola scandal in 1973, and an attempted ousting from his label Arista in 2000, Davis emerges as a keen reader of pop's ever-changing landscape. While discussing his mentoring of artists like Barry Manilow, Whitney Houston, Patti Smith, and Puff Daddy, Davis reveals a savvy understanding of how important "interpretations" of songs penned by professional songwriters can be to even the most authenticity obsessed artist. He pushes creatives to find their inner hit single. Davis helped icons like Dionne Warwick, Rod Stewart, and Carlos Santana reinvent themselves later in their careers, while also catapulting less universally beloved acts like Ace of Bass and Mili Vanilli into the mainstream. At one point in the film, Bruce Springsteen tells a story of Davis listening to his debut record Greetings from Asbury Park, N.J. and telling the Boss there wasn't a hit on it. Frustrated but inspired, Springsteen went out and wrote "Blinded by The Light" and "Spirit in the Night" to meet his demands. 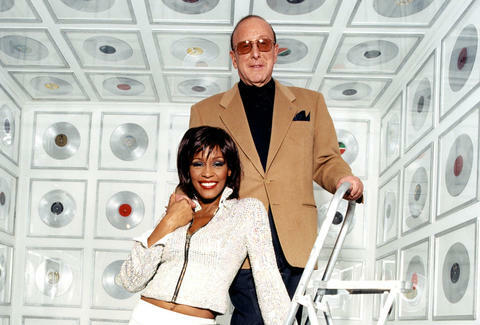 Clive Davis: the poptimist that rockists can love? Of course, the documentary isn't particularly interested in teasing out that question. It'd rather make time for American Idol host Simon Cowell saying things like, "We all wanted to be Clive Davis." In his defense, it does seem cool to be Clive Davis. Like SNL guru Lorne Michaels or film producer Robert Evans, he's an old school showbiz archetype from another era. As tech companies like Spotify, Apple Music, and SoundCloud increasingly become the power-players in what's left of the music business, the reign of "record men" like Davis appears to be ending. While informative and funny, Soundtrack of Our Lives isn't quite the most bracing argument for his legacy. But you know what is? Watching a legend like Aretha Franklin, decked out in a white and gold dress, take the stage and attest to his genius. "He takes care of his artists," said the 75 year-old Queen of Soul, before flying through stirring renditions of"(You Make Me Feel Like) A Natural Woman" and "Freeway of Love." Davis might not be the perfect subject for a documentary, but, to put it in the parlance of our times, he sure knows how to build a playlist.